If you want to add sleeves to the Harrison Shirtdress, that’s totally do-able! Your first thought might be: easy, I’ll just sew the sleeves on from the Harrison Shirt. 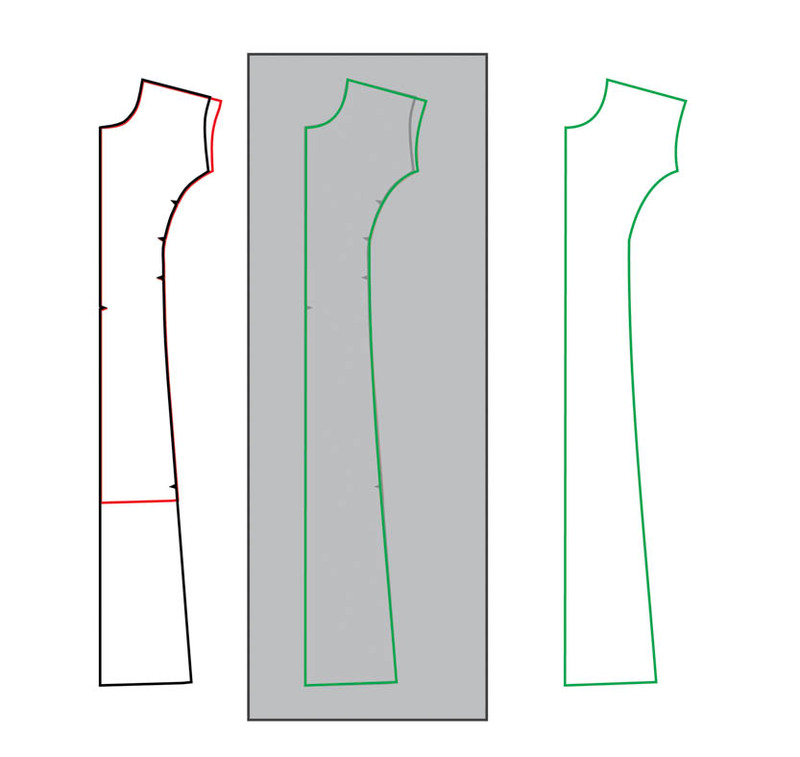 However, the Harrison Shirtdress is drafted with a sleeveless armscye which means it isn’t quite as simple as that. 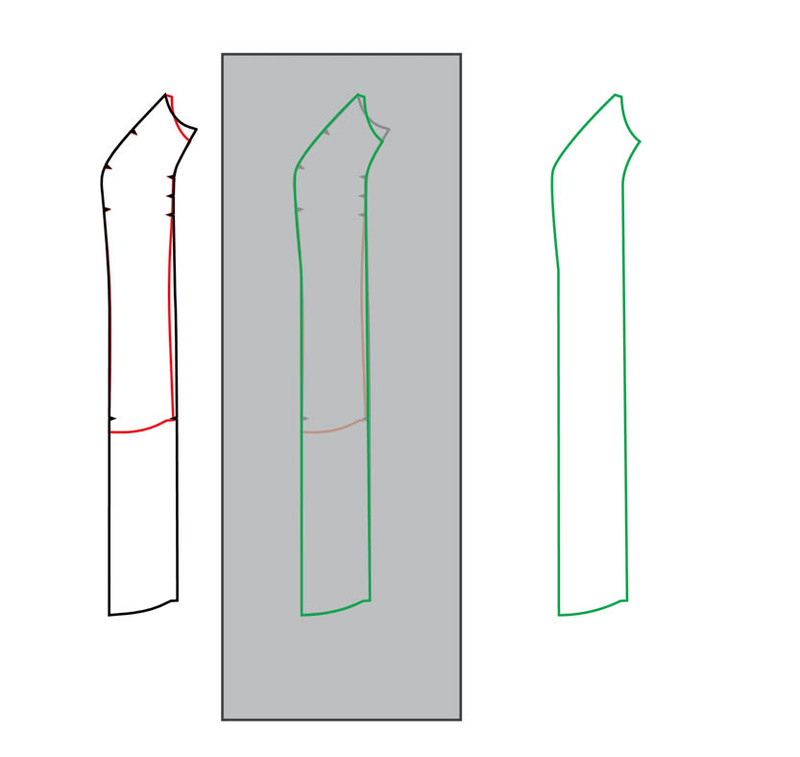 Sleeveless armscyes are drafted differently to sleeved armscyes, coming up higher under the arm, and narrower in the shoulder. 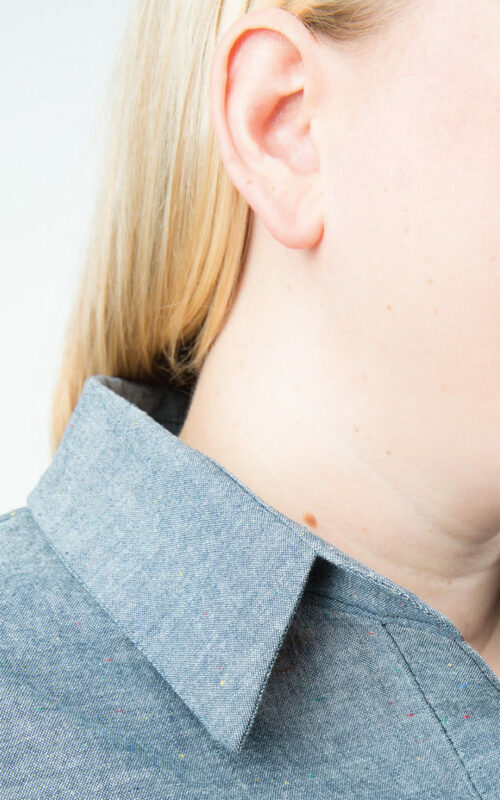 However, if you have a copy of the Harrison Shirt and the Harrison Shirtdress, then you can make this one adjustment and then add sleeves without a problem. 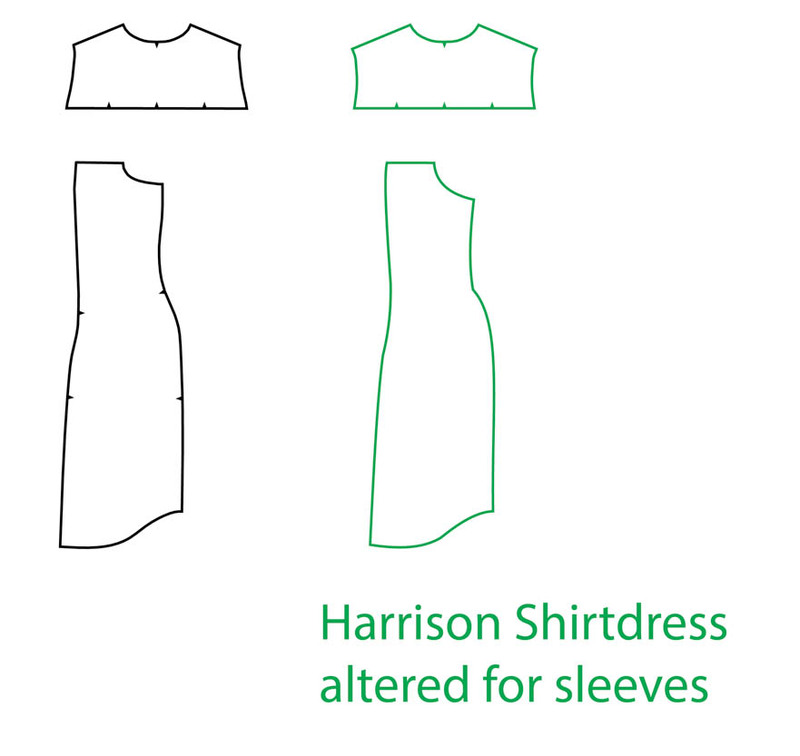 To add sleeves to the Harrison Shirtdress, you’ll need a copy of the Harrison Shirt, and the Harrison Shirtdress pieces (either the expansion pack or full pattern). We’ll be altering pieces 1, 2, and 3. You can see from the image below they’re very similar, but the armscye shape is a bit different (as well as the length). Start with piece 1 (front side). 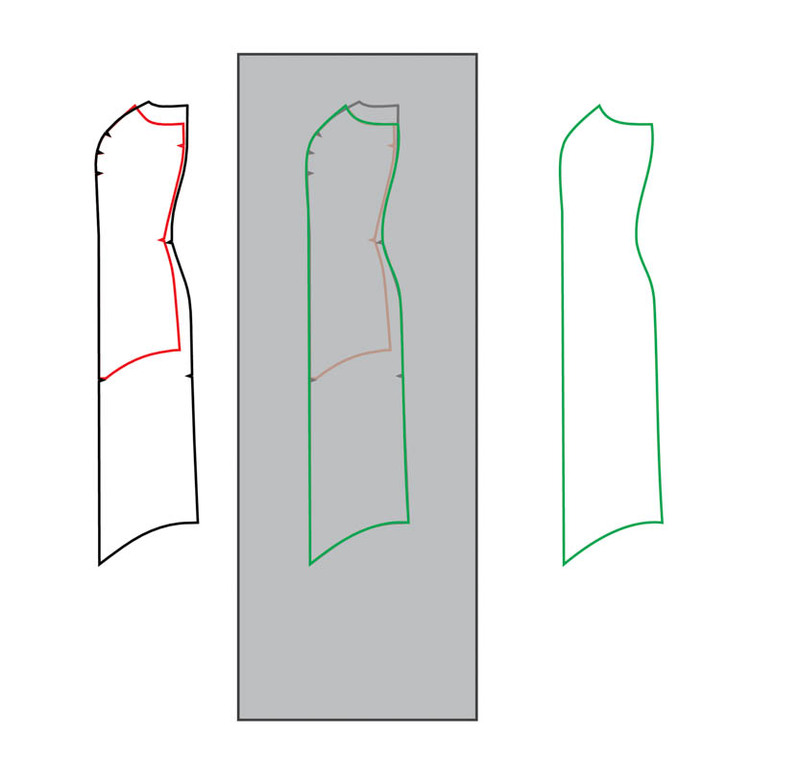 Lay the Shirtdress pattern piece (in black below) on top of the Shirt pattern piece (in red below), lining up the princess seam notches. Place a piece of tracing paper over the two pieces. 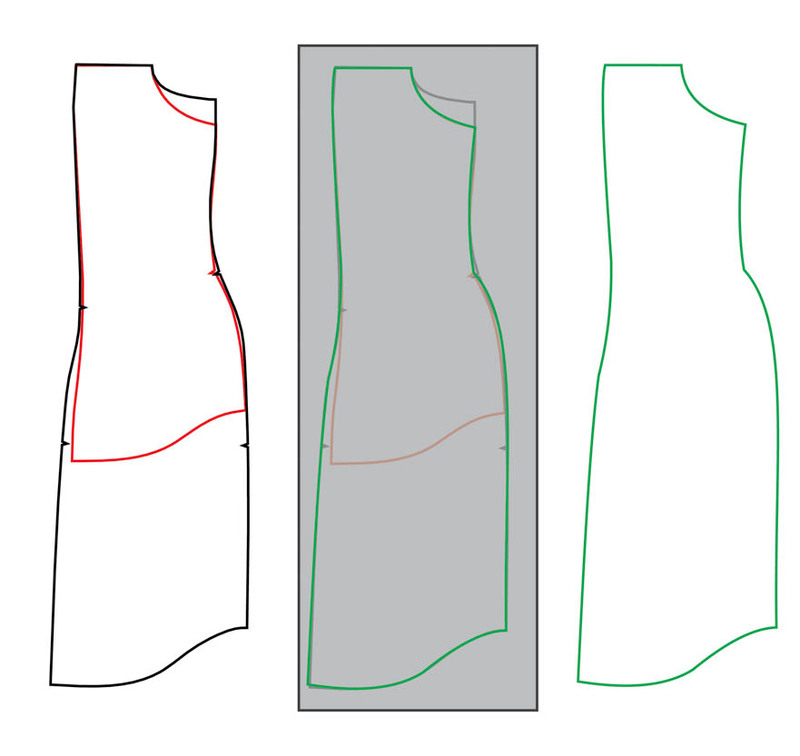 Now trace off the armscye of the Shirt piece (in green below), but for the rest, trace the Shirtdress piece. 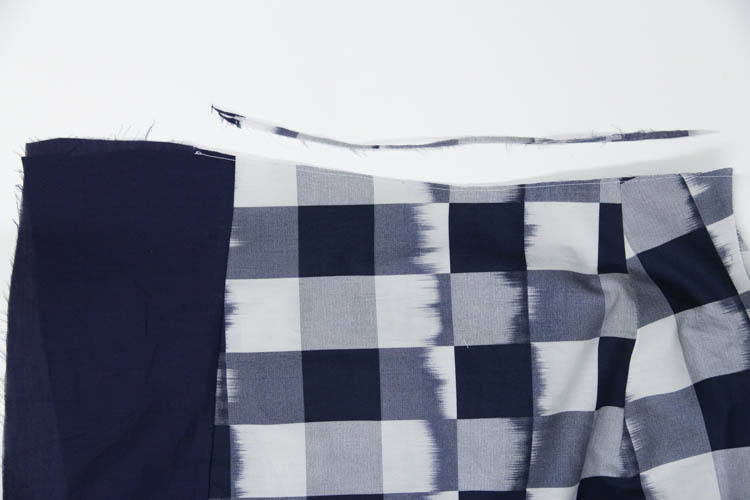 So your final piece is shaped like the long shirtdress piece with the Shirt armscye. 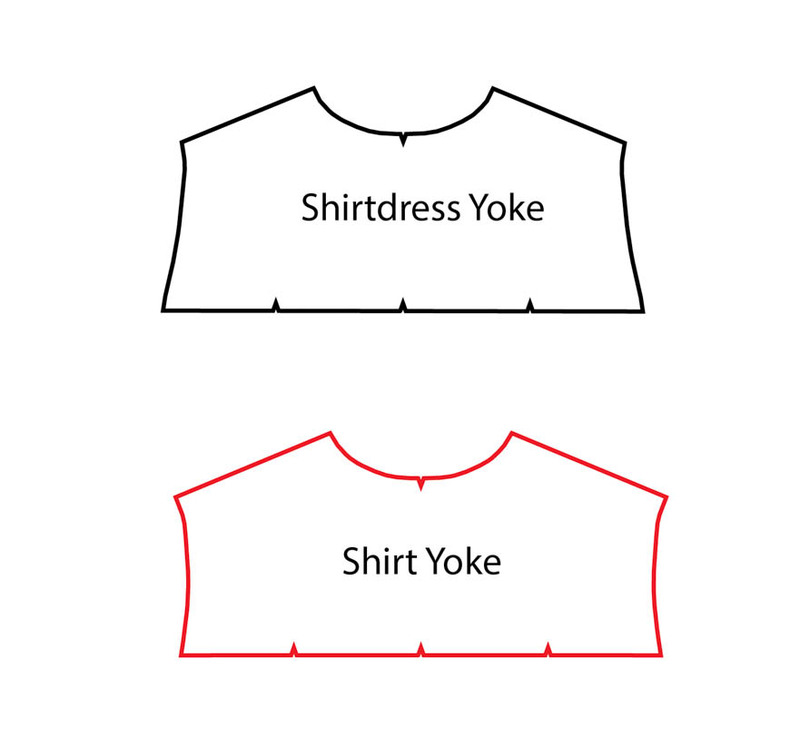 Then for the yoke, it’s easy: just use the Shirt yoke rather than the Shirtdress yoke! No adjustments needed. And that’s it! 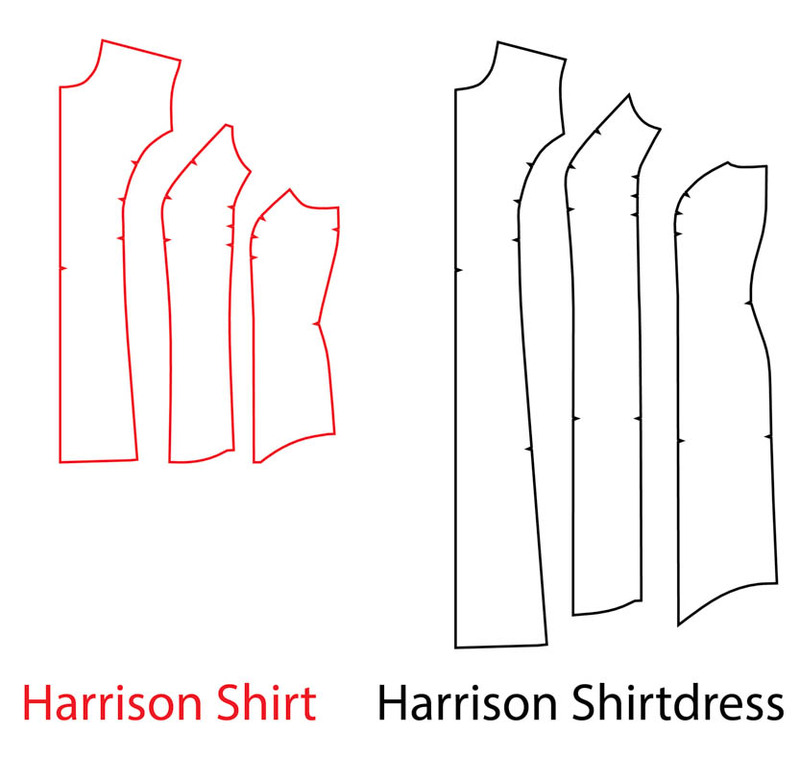 You can now sew up your Shirtdress using the Harrison Shirt sleeve pieces and instructions from the Shirt pattern. Thank you Jenny! 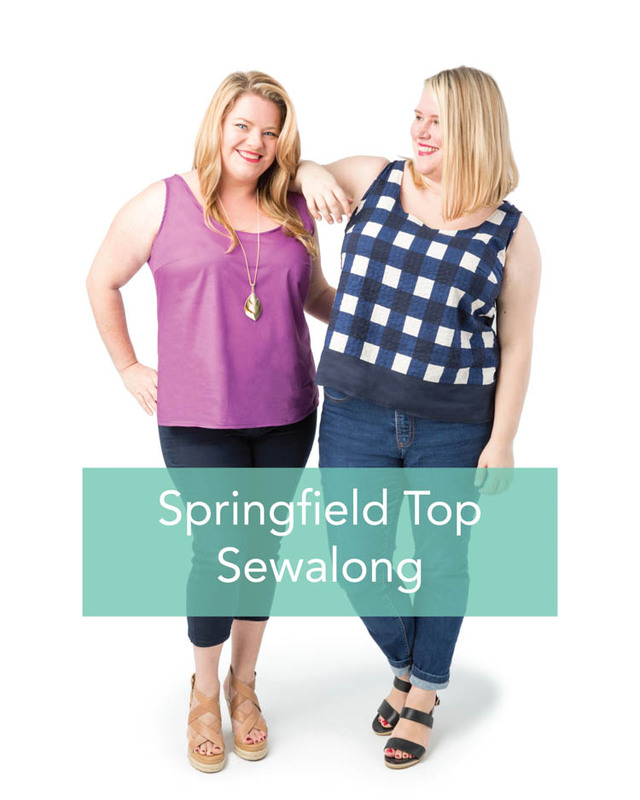 Very helpful – I’ll be doing this for sure because I do like (generally) even a little cap type of sleeve. I’m just now working on my first Harrison (muslin) and once I get that right then onto my first real one in cotton (I’m thinking small whale wine corduroy) then my good one in silk 🙂 Then onto my shirt dresses for summer! Hey Jenny, What about the back piece below the yoke? Is it the same for both versions? Ahhhh that’s what you get for copying over a post to WordPress at 2am :# Updated with the second page now! 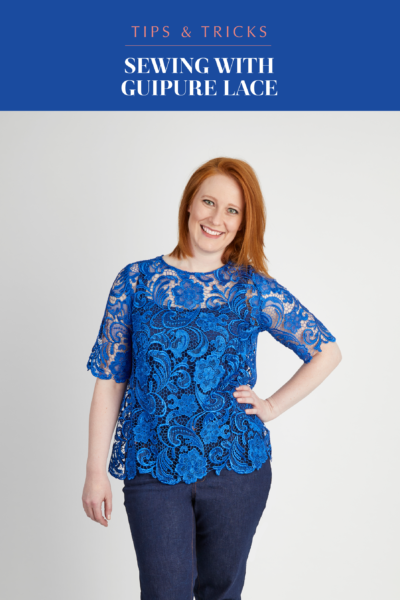 Can’t wait to try this Jenny, but are you going to release a sleeve for the Upton dress too? I’m DYING for a sleeved Upton! A lot of curvy women also LOVE flashing their arms, so this way there’s both the option to have sleeveless or sleeves on the Harrison Shirt and Harrison Shirtdress. Hello! I was just wondering how much extra fabric I’ll need if I want to add a full Harrison sleeve? I’ll be making a size 24 (in metric 😉). You would be fine with another 0.75 yards. 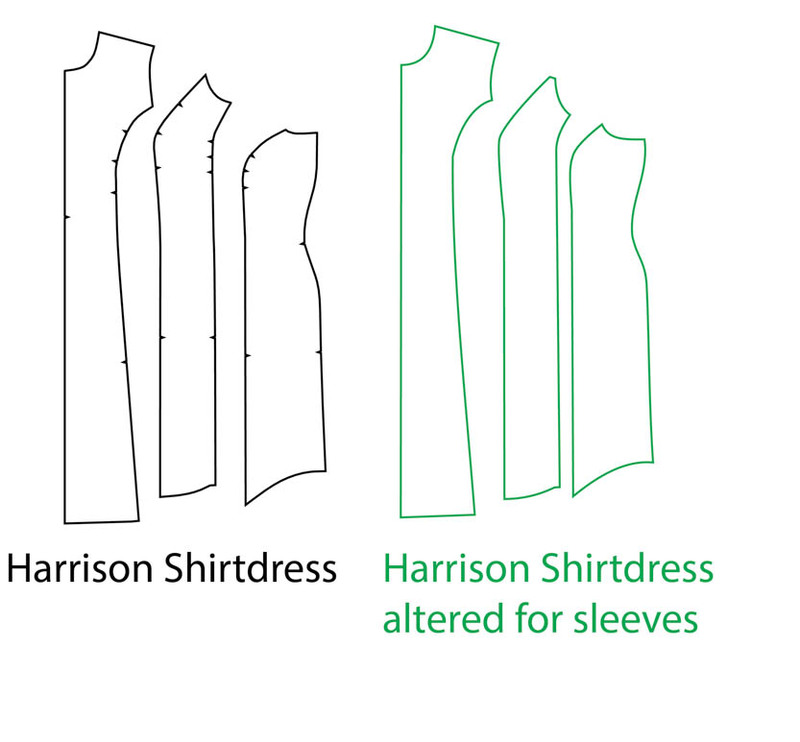 I assume the answer is yes, but could this same process be used (in reverse) for making the Harrison shirt sleeveless? What do you think of using the Montrose short sleeves on the Harrison shirt/dress? Yes, you can do it in reverse – or you can simply shorten the Harrison Shirtdress. The Montrose sleeves won’t work on the Harrison. Thank you soooooo much for offering the sleeve option!